Recently, the Punjab Information Technology Board (PITB) launched a mobile app that will assist in identification of vehicle ownership of people. This would greatly help the taxation department in streamlining their processes. 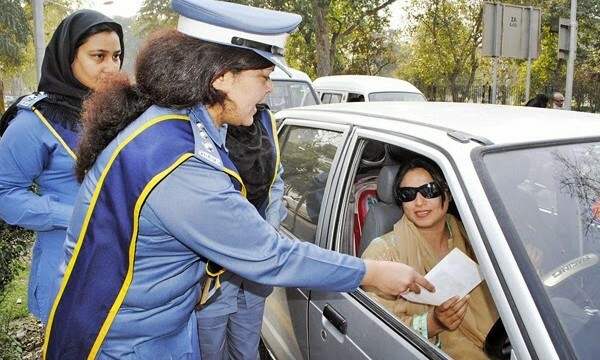 It is very common for an ordinary citizen to forget their original vehicle documents at home, which leads them into facing unpleasant situation with the traffic police or excise officers. Now through this app, the excise officers can verify the ownership of the vehicle just by clicking the app installed on their smartphone. The application is so far only meant to be used by the excise department. Ahmed Aziz Tarrar, DG Excise and Taxation Punjab commended the PITB for its vital commitment to increase the efficiency of the government by providing them with top-notch IT tools. He particularly congratulated PITB for their support to the Punjab Excise Department in collecting taxes in a proper and even manner. He also mentioned that PITB has always assisted the department and helped in bringing IT reforms. Director of the Excise Department also brought up the website of the division, which contains ample data about the department and its subtleties. He also said that there is a new helpline (08000-8786) which is being introduced with the assistance of PITB for the citizens to get their queries recorded. The customer service will be accessible 24/7. He said that the current age is all about information technology and how it can be implemented in the different fields of life. By using the information technology expertise in government departments, we can improve our systems and provide better services to the tax payers. He also shared some statistics and mentioned that for the current fiscal year, the Excise Department has set a target of PKR 22 billion for tax collection. The Excise and Taxation Department collects tax from close to 3.9 million different properties and 11.4 million registered vehicles each year. people deployed to eat at every check post, more corruption, more traffic jams, more inconvenience to masses, fines on stupid reasons like you are not carrying the genuine car papers may you truly know that he is a genuine owner. Good work done by Punjab Gov. Plz do change the police software also. Which are born with errors.